Coming soon, the new provider Site 2.0 Upgrade! The upgrade will be rolled out in two phases. First will be a program very similar to the Agent Program for new providers to get, then a little while after that we will begin automatically upgrading the existing providers into the new 2.0 Upgrade. You will be individually notified when it’s your turn for the upgrade. The beauty of the 2.0 Program Upgrade is that you, as our provider customers, will have the same site management capabilities as the Agent Site Program provides, with two real differences. Your site will automatically populate the virtual tours you shoot, not just to the agents’ sites that you shoot them for, but to your site as well. No more uploading little images and linking them to your tours. It will all be done for you automatically. Yeah!!! The second thing is that we have decided to maintain the current templates being offered in the provider Site Program, which would mean that your site would appear to the public to not change even though your management capabilities would get a massive overhaul. We’ve ALSO decided to create new templates similar to the templates offered in the Agent Sites Program. This means that when your site rolls over to the new upgrade you can keep it’s same look, or change it to any of the new or old templates that you’d like. You asked for it, we listened! NEW! Full Screen HD Slideshow. In the beginning of August we released our all new Full Screen HD Slideshow, this is our second release in our new technology push for this year. We have always included a free slideshow with our virtual tours. But now with having the full screen virtual tour we also needed a full screen HD Slideshow. One of the best parts of the slideshow is that it comes free with your virtual tour order. In addition, we have also created it as stand-alone viewer for those wanting just a slideshow. We have always been asked if we could do just still photos, but we did not have a stand-alone viewer to do this. Now we have the new Full Screen Slideshow and are able to offer our clients a way that we can just do still photos. This viewer will also allow us a way to showcase it on the MLS, Realtor.com, Agent and office web sites. Order a NEW Full Screen Virtual Tour and checkout the new free Full Screen HD Slideshow. NEW! Mobile Websites For Real Estate Professionals! A mobile site means giving potential buyers direct access to all of your listings and having them displayed perfectly on their mobile phone. More users are discovering the power and convenience of using their mobile phones to surf the web and do everything they normally would do using a PC or laptop. If you have a website but it is not a mobile website, your potential clients cannot see the way it should be displayed, but with a mobile website they can. According to a recent study of potential home sellers conducted by Philadelphia based research firm Devine and Powers, 49% of respondents said they would be more likely to use an agent who offered a mobile solution as part of their marketing plan, while 67% said it would be a major deciding factor in choosing a Realtor. Here is what the buyer sees when they text “your name” to 43766: See on the right. With Our Mobile Websites, agents can raise their profile, promote their brand and appeal to more buyers, by making all of their listings conveniently and instantly available to any buyer out driving around looking at properties. You can display contact info for the Realtor including, phone number, website and email address. 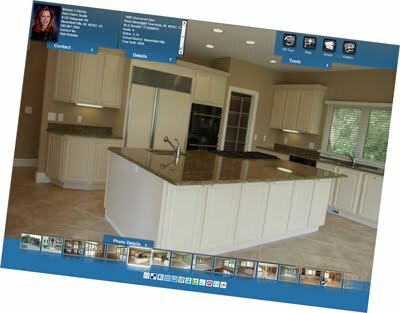 In addition, all of your active listings including photos, listing info, YouTube Video and even mapping to all of your listings. Thank Your from the Real Vision Studio Team! Also Have A Great Labor Day Weekend! It might surprise you to hear this, but the accounting aspect of any business frightens people just as much as the sales side. Are you currently doing your own books? Perhaps you’re paying to have these services done for you. You might still be using an old excel spreadsheet. In any case you really need to make sure that you’re a sharp shooter with all aspects of your business, especially when it comes to your finances. Please join Eve Allard, RTV’s office administrator / accountant and I on Tuesday September 7th at 7:00 Eastern as we learn how to setup your property marketing business on QuickBooks. This is really much easier than you think! During the show we’ll be covering initial company setup, invoice creation, making payments and running reports. Are you ready to kick out 500+ tours in 2011? You will be after watching this show! See you on The FORMULA 34. Sign up NOW in your TMS. Power Vision 4 Real Estate, a Scottsdale Virtual Tour provider and internet marketing partner, will be attending Active Rain’s Rain Camp in Prescott, Arizona this month. As the new sales director for this innovative and creative company, I am excited to attend this seminar sponsored by Active Rain. PowerVision4RealEstate.com has been with Active Rain for almost a year. The agenda for RainCamp matches our objectives and goals for the remainder of 2010. This will be a great opportunity to have face to face contact with leading real estate agents and providers of products and services to real estate agents in the Southwest. For those of you that know the temperatures in our area this time of year, it will also be nice to be somewhere that is cooler. We are launching an RTV products campaign at the Southeast Valley Regional Association of Realtors at their annual EXPO on Sept 2 in Mesa, Arizona. This will be a tabletop presentation of some of our best work with another RTV provider, Rudy Gutierrez. We will be able to demonstrate how our combination of products go hand in hand to support each other and give properties the maximum exposure along with the best internet support and photographic excellence. We are bringing the new RTV HD slideshow to a peak and creating a demand for this product with our marketing efforts. The face to face contact with present and future clients will strengthen our position with them and give us an opportunity to show them the best and newest marketing opportunities for their properties. Then along comes a little thing called The Recession. Small firms closed and large firms laid-off 20 employees at a time. My income dropped from $1,000 per week to spending my retirement to applying for welfare, while I was appealing the determination that somehow I wasn’t eligible for unemployment insurance. But I was always resourceful and had a strong determination and work ethic. Looking back, I graduated from The University of Southern California with a B.S. in Architecture and Urban Planning. I was a founding member of the student chapter of The National Organization of Minority Architects (www.NOMA.net). 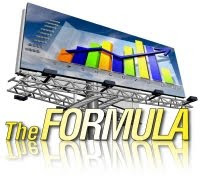 I have sold Amway products (You would be amazed how much a business that doesn’t work can teach you about business). I have taken marketing classes for entrepreneurs, written my own contracts, and designed my logo (an abstraction of a road to infinity). I attended Robert Kiyosaki’s “Rich Dad” Real Estate Investing 3-day crash course & made my business an LLC. I started taking my Architectural Registration Exams (ARE) and joined and The Real Estate Investment Club of L.A. My LA Virtual Tour Business is a culmination of all these experiences. I’d just like to thank the staff at Real Tour Vision, for providing the opportunity, support and education to bring this dream to reality.